Claudia Itzkowich is a journalist, editor and translator currently residing in Mexico City. She wishes her former hometown of Montréal weren’t separated by such a country, for more than one reason. I must admit, however, that even now, after poring over dozens of pages, ideas, images and verses revolving around the issue, my mind is still struggling to arrive at a clear definition of populism. But that may be the main point in creating this issue, and the reason why I’ll start by presenting the second half of the theme’s equation. 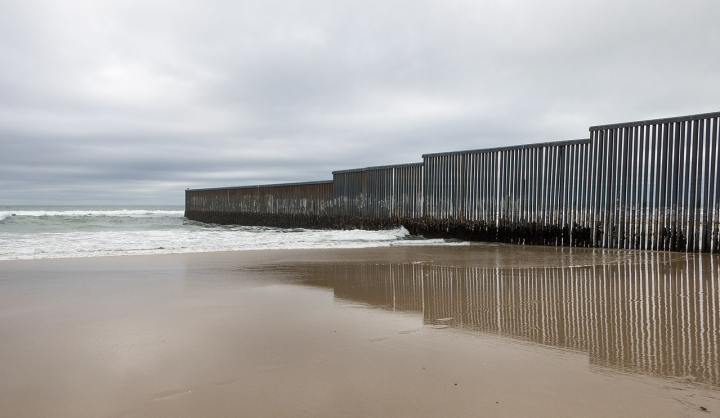 Having worked as editor-in-chief of a Mexican travel magazine for a number of years and, more importantly, having lived for most of my life in America (the continent,[i] just to clarify), I am very aware of how problematic it is to use certain terms stripped of their historical meaning – terms like “colonial” used as an inviting adjective evocating charming cobblestone streets or European architecture (be it Andalusian patios, baroque churches, French or Victorian, cake-like façades). While the Spanish conquest and its legacy are undeniably part of America’s heritage, I have always been puzzled by the ease with which references to colonization have been wiped clean of all the violence they contain. Its history erased, the word now evokes a coveted aesthetic style to be enjoyed, inhabited, purchased. The use of language is a recurrent thread in this issue meant to highlight the relevance of history as a crucial antidote to the perils of populism. This makes me think about the weight words actually have, and wonder whether the distinction between words and facts, the perception that speech has no effect on human events, pertains to the realm of positivist-inspired “truths” (fantasies), like the separation of body and spirit. Maya Khankhoje’s piece, “Speaking at Eye Level: Decoding the Language of Populism,” focuses on the different ways in which populist figures – from Indira Gandhi to Obama or Victor Orban – orchestrate their speech by carefully choosing their words in order to speak to the masses “at eye level,” the way sensitive parents and teachers speak to children, crouching rather than looking down. Dina Gardashkin starts her piece on Sadaka-Reut, an educational organization based on Palestinian-Jewish partnership, with the following line: “I’m a Jewish Israeli, and the first time I learned what the word Palestinian really meant was at the age of 23.” She shares an intimate, first-person account of the experiences young Israelis go through once they are exposed to the Palestinian reality, after being trained in schools where references to the Palestinian Nakba (catastrophe), the uprooting and exile of over 700,000 Palestinians in 1948, are banned from history books. Two very different artists are featured in this issue, each evoking a collective past or consciousness. Diane Denault’s sculptural works in ceramic explore heritage, transcendence and the ritual aspect of urns: the unique texture of her pieces is achieved by exploring the limits of clay and firing at low temperatures, all of which yield a totemic, smoky effect. Wartin Pantois, on the other hand, a Québec City street artist and catalysing presence, likes to surprise local residents, drivers and pedestrians with works depicting various hidden human realities – like homeless people shivering under a blanket on a cardboard. In this issue, we feature a selection of his ephemeral pieces meant to counter collective amnesia. Québec 1918, for instance, evokes the protests in Québec against conscription in World War I, which were repressed by the army. For this work, Wartin Pantois used white paint on black paper to give the characters a ghostly air, haunting those trying to forget history. So what about populism? How does it come about? Alicia Loría’s review and essay on Guillaume Pitron’s book La guerre des métaux rares reminds us that imbecilic arguments are built not only on erasure of the past, but also by simply diverting attention from, well, the truth. The author informs us that the carbon footprint of every 1,000 Google searches is equivalent to a short plane trip, and that one hour of Netflix is equivalent to the annual energy consumption of a refrigerator. So, saving paper while frantically emailing, streaming, Googling and feeling morally (ecologically) superior speaks to the ease with which most of us can be taken in by biased, contradictory and downright manipulative information. Loría quotes Constantino Humberto Muko, saying that “knowledge frees and enlightens people, while ignorance suppresses and encloses them in a limited world.” Impossible not to concur. But it’s been a while since we stopped believing in knowledge as a monolithic, immovable truth, so we are doomed to keep researching, questioning, learning, as, who else is the people if not all of us? And what other antidote is there to lies and manipulation moulded to soothe our common anxieties? He’d gone too far, even for his supporters, a group bolstered by “white men meant to be at the top of the mountain,” as Montréal journalist Francine Pelletier put it in an interview conducted by Simon Van Vliet for this issue – men who, finding themselves “dispossessed,” displaced by women and threatened by globalization, are now craving revenge. But when was their “right” to claim the mountaintop conferred on them? Who granted them that right, and why was it supposed to be for time immemorial? The Superstition Mountains in Arizona, a popular recreation spot for residents of Phoenix, were called Wi:ksawa in Yavapai, the language spoken by the Yuma tribes who lived there long before the Europeans arrived. 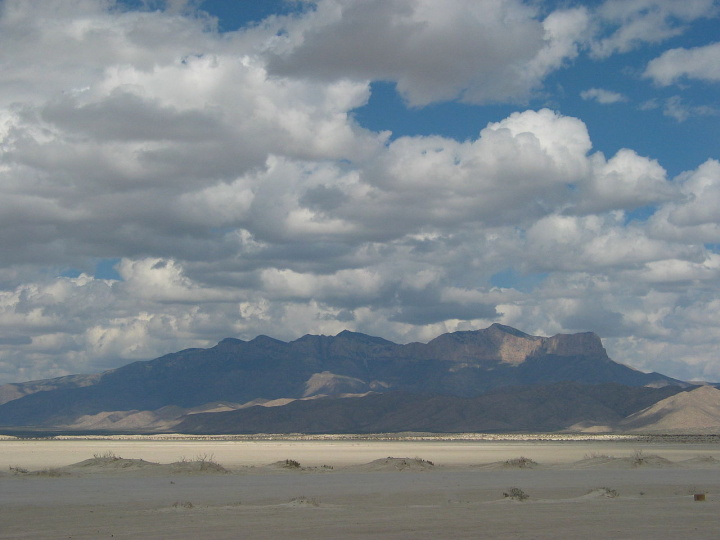 In Texas, another border state, the name of the Guadalupe Mountains should stand as a reminder to “Zero Tolerance” supporters that not too long ago this territory belonged to Mexico, the neighbouring country they are striving to extirpate via a wall, billions of dollars in border enforcement, and rhetoric meant to instigate irreconcilable hatred against its citizens who are following an ancient migratory route that was also deemed “legal” under U.S. law only a few decades ago. Despite right-wing populist efforts, history will not be erased. In closing, we would like to thank the volunteer revisors who helped edit our growing number of articles in French: Muriel Beaudet, Chantal Mantha and Louise Dawson. Un gros merci ! Togetherness: Post-colonial appropriation or welcome celebration of South African jazz?